Black economic empowerment and transformation continue to be our focus. 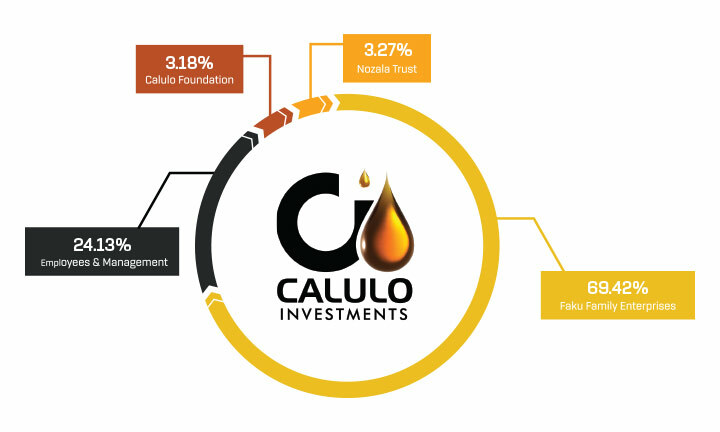 Our shareholding structure ensures that Calulo remains a black controlled empowerment entity with a sustainable black shareholder base. Calulo’s overall black shareholding exceeds 76%.